José Marcos Mavungo is a human rights activist arrested without a warrant on March 14 2015 in connection with organising a peaceful demonstration against bad governance in the Angolan province of Cabinda. The governor of Cabinda banned the demonstration apparently because it represented “a lack of honour and consideration owed to the people and government institutions”. Mavungo has been in detention for almost four months and is now accused of rebellion. He faces up to 15 years imprisonment. Arão Bula Tempo was also detained on March 14 2015. What did he do wrong? He invited journalists from the Republic of Congo to cover the demonstration that Mavungo had been organising. He denies this and any involvement with the demonstration. It’s hard to imagine what would be wrong with this even if he had invited them. Apparently in Angola though such an invitation can constitute the crime of collaborating with foreigners to constrain the Angolan state. Yes, that’s an actual crime. He was released on May 13 2015 pending trial, but is not allowed to leave Cabinda province without permission. If convicted he faces up to 10 years’ imprisonment. Manuel Biongo is Tempo’s client. He had travelled with Tempo to meet business partners on March 14 2015 and also found himself detained by the police. Like Tempo, he faces the charge of collaboration with foreigners to constrain the Angolan state. Apparently he was told by a state official while in detention that he had made the mistake of being with the wrong person at the wrong time. On May 13 he was released pending trial, but is not allowed to leave Cabinda province without permission. If convicted he faces up to 10 years’ imprisonment. 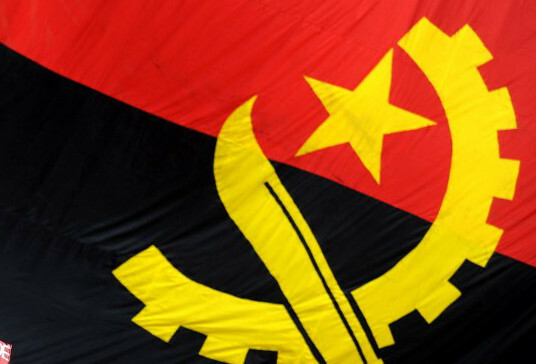 On June 20 2015, 13 individuals were arrested as they met in the Villa Alice neighbourhood of Luanda to discuss their views on the political situation in Angola. The police later searched their homes and the homes of others known to associate with them (remember point three above). Two more individuals were arrested. Five days later, on June 25, the attorney general reported that they had been caught red-handed preparing to carry out acts to destabilise the state. They are being held on suspicion of preparing to commit the crime of rebellion and attempting to kill the president and other government members. The majority of those arrested are youths who have been beaten, arrested and detained on a number of occasions since 2011 in connection with peaceful demonstrations (see point one above). If you have had any interest in the events in Angola this year you would have heard of Rafael Marques de Morais. He is the journalist who was accused of defaming Angolan army generals and convicted on May 28 2015 of criminal defamation. The charges stem from a book he wrote documenting human rights violations in the diamond mining areas of Angola. While Marques de Morais was not charged with a state security crime, there are others who have faced such charges for writing or reading. Domingos da Cruz is one of the 15 individuals arrested on June 20 and author of the book Tools to Destroy a Dictator and Avoid a New Dictatorship The back cover states that the book lays down techniques and principles of “democratic and peaceful civil disobedience” for removing a dictatorship. Despite the reference to peaceful civil disobedience, discussing this book in the June 20 meeting contributed to the arrest of the 15. In September 2013, Manuel Nito Alves, who was just 17 years old at the time, was arrested for commissioning the printing of T-shirts with the words “Out disgusting dictator” on the front, and “When war is necessary and urgent” on the back. The words on the back were a reference to another book by Da Cruz that called for youth to be more actively involved in political life. Nito Alves was accused of insulting the president — a crime against the security of state. Apparently, in the opinion of the Angolan attorney general’s office, these few written words on a T-shirt were capable of collapsing a state. The courts disagreed though and in August 2014, Nito Alves was absolved of the charges against him. He is among the 15 individuals arrested on June 20. Muluka Miti-Drummond is writing on behalf of the Southern Africa Litigation Centre (SALC). Between 2005 and 2014 she worked as the researcher for Portuguese-speaking African countries at Amnesty International.